Native American Pipe Collection: Page 1: Start your tour of my pipe collection here. 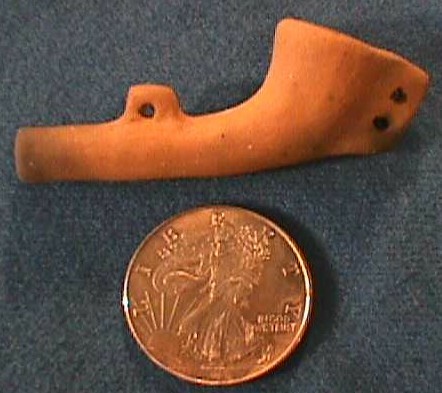 It starts with Hopewell Effigy pipes and includes catlinite, steatite, and clay pipes. The Maass Collection of Native Americana: Start your tour of my collection here: Everything from pottery to beadwork, from baskets to arrowheads, from axe heads to beaded gloves. Native American Jewelry and Crafts for sale: I have some fine pieces of Native American Jewelry for sale. Why not have a look around?